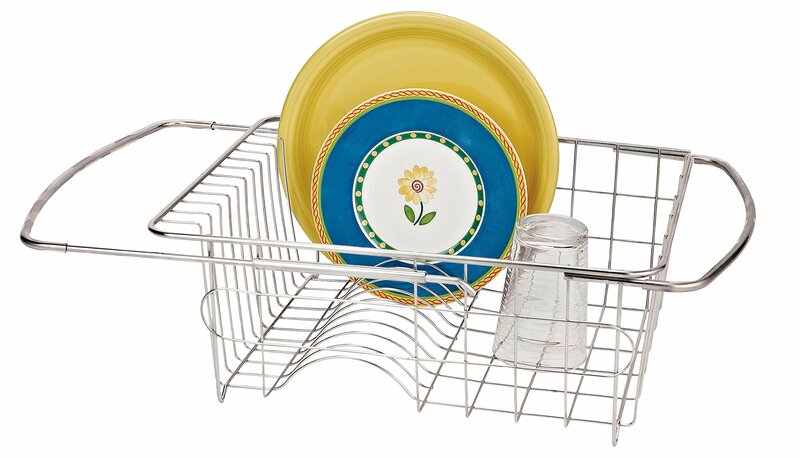 Wash dishes on one side and drain on the other using this Over-The-Sinkstainless Dish Drainer. Expands from 13 3/4-in. to 21-in. to fit most kitchensinks. It's sturdy enough to hold dinner plates and more as non-slip grips onedges keep it in place. Separate cutlery basket (not included) fits on insideedge. Ideal in small kitchens with limited counter space. Measures only 5-indeep so it stores away easily once dishes are dry.